On Monday at WWDC, Apple announced its latest music service: Apple Music. Apple Music will be a music app designed to have all your music in one place. Apple claims that this “revolutionary streaming music service” will broadcast music 24 hours a day all handpicked by humans. In terms of functionalities, Apple says that Apple Music will be integrated with Siri’s commands. For example, you will be able to ask Siri, “Play me the best songs from 1994,” “Play the best FKA twigs song,” or “What was the number one song in February 2011?.” Siri will reproduced those commands. The service will also provide a way for fans and artists to connect together through Apple Music Connect. Through Apple Music Connect, artist will have the ability share lyrics, backstage photos, videos or even release their latest song directly to fans directly from their iPhone. Fans will be able to comment or like any of the content the artist has posted. If your comment calls the attention of the artist, the artist will personally reply back to your comment. The service will be publicly available on June 30 starting with a three-month free membership. After three months, Apple Music will have a monthly subscription fee of $9.99/month. You will also be able to purchase a $14.99/month plan which will allow up to six people use the same subscription. 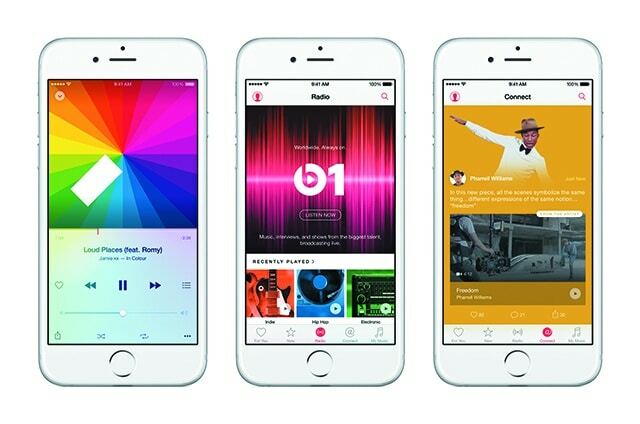 Apple Music will released on iPhone, iPad, iPod touch, Mac, and PC. Thanks to the openness of Tim Cook, Apple Music will also hit the Android OS this fall.